“The vibrancy of our diversity is a key advantage of our company,” says pt Health CEO Heather Shantora, “many trailblazing women came before me in healthcare and I hope to honour their resilience. Healthcare is a unique sector in that it is largely made up of women. What an honour it is to lead such a passionate group of professionals and I hope I can show the next generation of women that female CEOs not only deliver but thrive in business”. 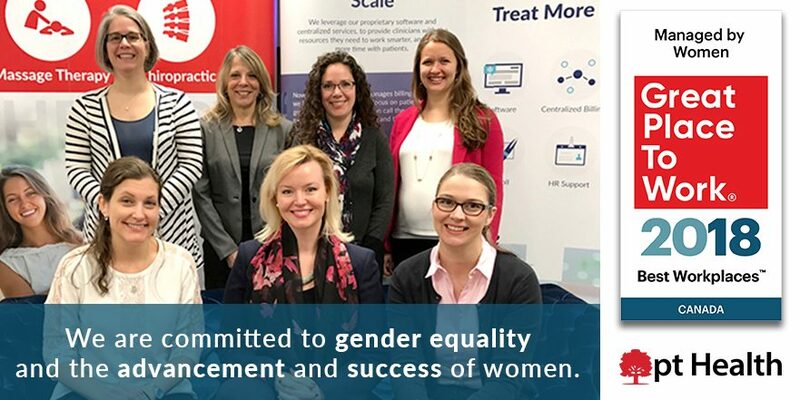 At pt Health we pride ourselves on having proportionate representation among management and benefit from a diversified management team – we have a great appreciation for our women leaders who are paving a road for other women to follow. Read our full press release over on Newswire.